The Associated Press is reporting that South African and Haitian officials have said former Haitian President Jean-Bertrand Aristide will return to the country after spending seven years in exile. 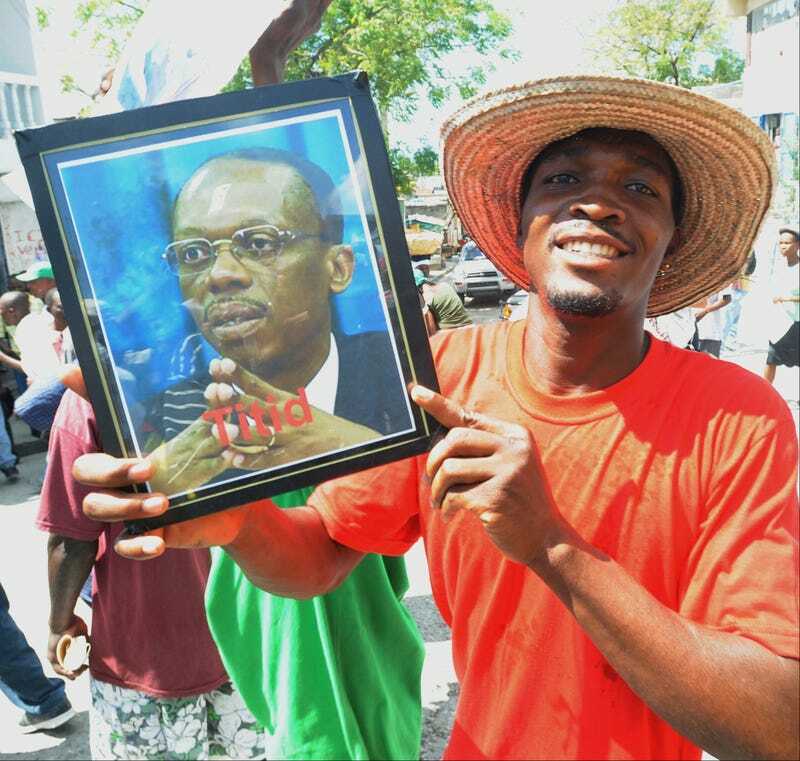 Aristide emerged as a leading voice for Haiti's poor and helped lead a popular revolt that forced an end to the Duvalier family's 29-year dictatorship. He became the troubled country's first democratically elected president, despite opposition from the army and Haiti's elite. … It would be the second return from exile for Aristide, who is both loved and reviled. He first was ousted by a military coup in 1991. U.S. President Bill Clinton returned him to power in 1994 following a U.S. military intervention that forced out the military regime. Then, tens of thousands of his supporters gathered around the National Palace to watch U.S. Marines fly him in on a helicopter. Aristide later fled Haiti again on Feb. 29, 2004, leaving before dawn on a U.S. plane as rebels approached the capital. The U.S. has warned his presence "would prove to be an unfortunate distraction to the people of Haiti." With elections coming up this month, the potential consequences for the struggling country of that distraction can’t be overstated. In other news: Embrace Being Black: Study Shows You'll Be Happier.